An ultimate no-no in the dessert and snack category is The Donut. I mean, it hits all the big things we want to stay away from for our health and especially brain health, right? Processed, refined carbs, rancid and trans fats, and probably some sort of toxic food colouring, too. But what if it didn’t have to be like this? What if donuts could actually be good for you? Well I say, why the heck not? Our donut recipe is part of our clients’ NeuroTrition Rx, and these vegan, gluten free and dairy free delights contain top notch brain-friendly carbs and fats. Oh, and our “food colouring?” Real, whole blackberries. What a concept, right? Have your cake and eat it, too, with this recipe. And feel good about yourself after (even if you have a second one). Spoiler alert :: make ‘em into NeuroTrition-Approved TimBits (that the nerd in me so wants to call OrshaBits). Preheat the oven to 325F. Oil donut pan* with coconut oil, then set aside. In a large bowl, combine rice flour, coconut flour, almond meal, sugar, baking powder, psyllium, salt, and baking soda, stirring to incorporate everything evenly. Add apple sauce, coconut oil, hot water, and almond extract. Stir to combine and allow to rest for about 5 minutes. Spoon a few tablespoons into each mold*, and bake for 15 minutes, until the edges begin to go golden brown. Remove and let cool at least 1 hour before icing. While the donuts are baking and cooling, pulse coconut sugar until it becomes a lighter colored powder in the bowl of a food processor. Add in half of your almond milk and remaining ingredients, and process for about a minute. Based on preference for a thinner icing, you can add the remaining half of the almond milk. We personally like it a bit thicker! 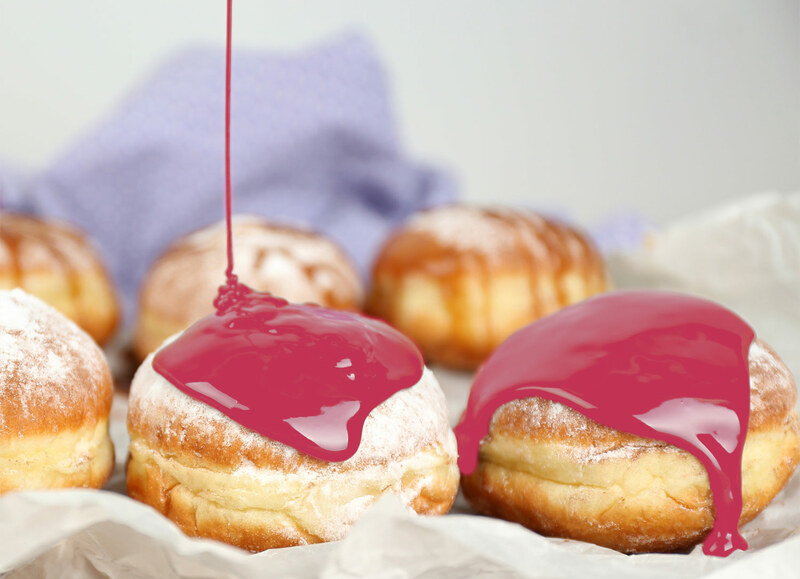 Dip each donut in icing** to serve, and enjoy! If you don't have a donut pan, fear not, you can still have our donuts! These donuts can also be shallow fried, turning them into fancy little donut holes! Melt 6 tablespoons coconut oil with 2 tablespoons ghee or unsalted butter in a heavy bottomed skillet over a medium heat. Allow oil to get hot and scoop 2 tablespoon scoops into the oil and fry for about 2-3 minutes per side. Drain donuts on paper towel after cooked, and dip into glaze once cooled. Enjoy! This icing is super versatile, it can be used on cakes, cookies or muffins as well! You can store the icing for up to 1 week, in the fridge, in an airtight container. Ganguly, S. (2013). Health benefits of coconut in the Asian cuisines: A Review. Journal of Biological Chemistry Res 2013a, 30, 517-21.